"Amy helped us buy a new home and sell our existing one, both in the Cape Saint Claire neighborhood. She kept both transactions moving along. In the course of buying and selling, she frequently patched up the problems left by the other agents. For example, the sellers' agent didn't think the water test was really important and the owner didn't want to pay the high estimate for decontaminating the well. Amy salvaged the deal by finding a less expensive way. She knew reliable local handymen and could get them to show up at a moment's notice. The sellers were so impressed they wanted to hire her themselves." –Baird S.
"Amy showed us about 10 homes in 3 days, and we went to several of them 2 or 3 times, until we found just the right one. She made us feel like we were her top priority on those days, never in a rush or getting bored. She didn't pressure us at all or suggest houses out of our price range. She gave us her honest opinions, advice, and things to look out for, as a person who has showed many people many homes, and she was enjoyable to work with. We highly recommend Amy!" –Nancy L.
"We used Amy for our last purchase. She was everything you want in a realtor -- interested in helping us find a good match; active in evaluating and selling our prior home; and just a generally good person to be around." –Dirk S.
"Amy is smart, knowledgeable, competent and has a great sense of humor. No one will work harder for you or do a better job. She is patient and kind and will hang in with you for as long as it takes. We owe her a debt of gratitude and will always use and recommend her for all our real estate needs." –Maryanne C.
"Amy was first my realtor and now a friend forever. Thanks Amy!!! :)" –Ellen B. "I have know Amy Juras for over 15 years now and have always been impressed by her business acumen and her customer focus. She really invests herself in her work and her clients and always goes the extra mile to find the right home for those who are on the "hunt." I would recommend, and have recommended, many families who were in the market to either buy or sell a home and have heard nothing but good things in their experiences with Amy. She is a top notch Realtor and I would recommend her to anyone looking to buy or sell a home." –Keith E.
"Amy deserves stars and accolades for her performance as a realtor. Amy was respectful of our needs and carefully honed in on houses that were within price and desirabily range. Amy educated us on the market, listened intently to our feedback and conducted herself in a professional manner in all aspects of the relationship. We found her to be trustworthy and ethical which is essential in this field. I woudl recomend Amy to friends and family as well as use her for our future real estate needs. No pressure just professional curtesy each step of the way. Thank you Amy!" –Mary H.
"Amy Juras is really one of those Realtors that you hold onto. Someone once said, everyone needs a good dentist, a good doctor, a good insurance person, and you should make sure to have on that list a good Realtor. My family was relocating from the West Coast and really needed someone that knew the area. We traveled from one side of the bay to the other side looking for waterfront property. I really don't remember how we found her but we count our blessings that we did. Our family spent quite a bit of time looking for the right home. At the end of a long week of looking we decided to rent while getting to know the East coast. Well, we stayed in contact for nearly a year as we explored the various areas around Baltimore and she was the first one we thought of when we were ready to buy..." –Bryrick S.
Find out why Annapolis is the greatest place to live! Instantly Browse the latest Annapolis real estate listings. 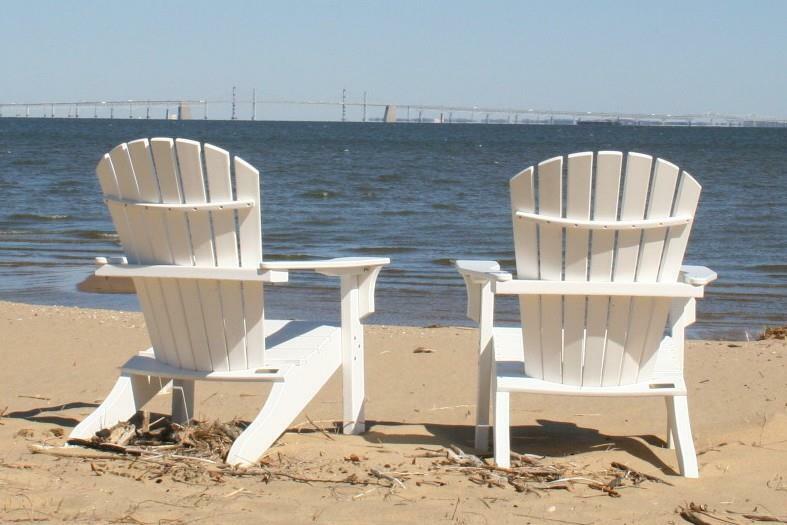 This website lets you easily find waterfront homes in Annapolis and Anne Arundel County as well as any other type of home in Maryland. Many of the popular waterfront real estate are located in Annapolis and Anne Arundel County thanks to its location along the Chesapeake Bay. Find Annapolis waterfront homes including those directly connected to waterfront or near the waters on this website by price range, cities, and other criteria´s. Also search for real estate in the many surrounding counties through the general Property Search page and customize your search to pinpoint the right home for you. 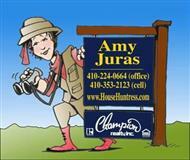 Amy Juras is a HouseHuntress who can help you find the right home whether it´s a waterfront home, investment home, second home or whatever your goals are. She can also help you prepare, market and sell your home to get you the most from your investment. Feel free to browse this website to search for homes, neighborhoods or contact Amy Juras, Maryland Realtor® for her expertise. See the importance of working with an agent who knows about Anne Arundel County's neighborhoods, one by one! Find out the differences between the very different neighborhoods in Anne Arundel County. You won't believe how many things there are to consider. These are just some of the Annapolis Area Neighborhoods where you can view homes in Annapolis that showcases Annapolis real estate! The City of Annapolis is the State Capital of Maryland and is the county seat of Anne Arundel County. Annapolis is about 27 miles from both Washington D.C. and Baltimore City. Located on the Severn River, Annapolis is home to the United States Naval Academy. Established in 1649, Annapolis today is rich in history with a vibrant community. Just walking down some of the streets you could be strolling on the same sidewalks as George Washington or Thomas Jefferson did back in the days when Annapolis was the former Capital of the United States. Annapolis a vibrant city with many convenient amenities and places to enjoy. Over 4.5 million people visit Annapolis each year to enjoy many of the historical architectures, shops, unique restaurants, activities and beautiful scenery in the area. Whether its visiting, doing business or taking a sightseeing cruise, Annapolis is a great place to live, work and play which makes investing in Annapolis Homes a viable choice in a thriving real estate market. The City of Annapolis is in a fast growing region with a favorable environment for new businesses as well as facilitating the growth of current businesses. Annapolis boasts a well-educated and skilled work force to support the local economy while enabling companies and small to medium-size businesses to flourish. Annapolis has been designated a "Central City" by the U.S. Department of (HUD) Housing and Urban Development because its home to major components of the local economy such as government, military, tourism, maritime, financial, real estate and manufacturing. Annapolis is an ideal place to live, raise a family, grow your career and to invest in real estate. Annapolis Homes are offered in a variety of styles, location and characteristics and you can access the Featured Listings or Property Search to find them all. Homes for sale in Annapolis include single family homes, new construction homes, condominiums, town homes, waterfront properties, vacant lot/land for building new homes, multi family homes and more. Annapolis Real Estate is also known for having waterfront homes and waterfront real estate due to its location along the Chesapeake Bay. Prices for all combined homes of all types in Annapolis range anywhere from the mid $50,000 range to homes over 8 million. Many homes can also be found in the affordable 100k to 400k range or one can choose a wide range of diverse housing options that can be found. I am an Annapolis Realtor thoroughly knows the area and offers the expertise, technologies and resources to help you buy the Right home or Sell at the right price. As a local real estate agent and resident of Annapolis for over 25 years, I am a subject matter expert with Annapolis real estate so get all your answers from me today. Annapolis Real Estate Services As a consistent Top Producing Realtor in Annapolis, let me help you with buying, selling and investing in real estate. Working with me will provide you with the advantage especially with my years of proven experience and skills being put to work for You. I can help you with a broad range of real estate services as well as home buyer programs and financing options. Contact me today to get started. You can Search the MLS for specific homes that meet your criteria, or review our Annapolis Featured Listings page to see local homes.